For this predicting activity, We have created a word cloud using Wordle. 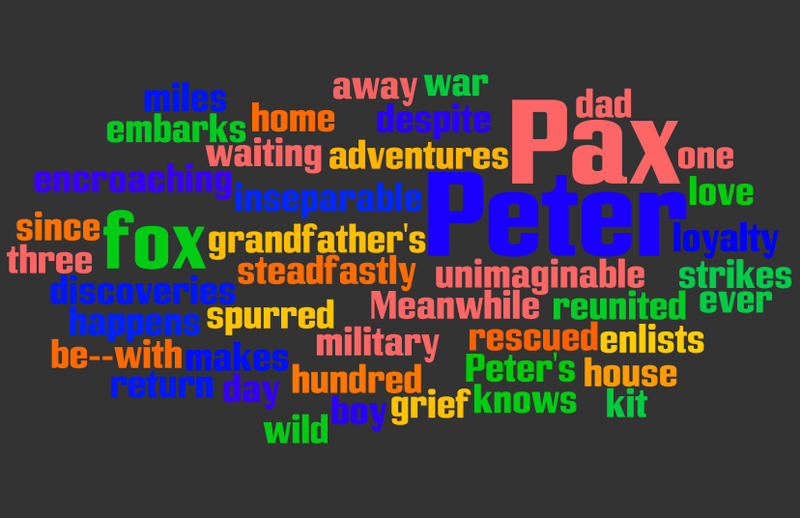 The word cloud was generated by entering the book’s blurb into Wordle. If you are familiar with Wordle, you will know that the more often a word occurs, the larger the word in the word cloud. To participate in this activity, view the word cloud with your class, and discuss your predictions. Clicking on the word cloud will take you directly to the Padlet that was set up for us to share our predictions. Please note that the Padlet is going to be moderated, (this means your post may not be published instantly, but we will check and publish at regular intervals every day). Brainstorm together on a chart after listening to the summary of the book. Take a photo of your chart and share. This phrase is found at the start of the story. What does the phrase mean? Why did the author place this at the start of the book? 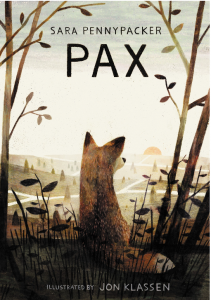 Although the author does not give reveal the name of the place in which the story is set, she does allow us to visualise some of the places in which the story takes place. 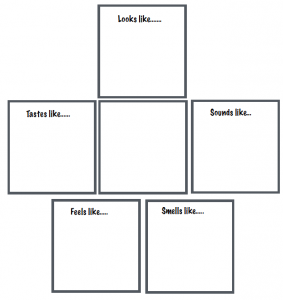 TASK- Create a senses chart to describe the setting in which Pax was left alone by Peter. ICT- Use Popplet to create the chart.